Supposedly the greatest flamenco singer ever, Camarón de la Isla was considered to be the gypsy god of flamenco and his effigy is respected in a somewhat religious manner. This legendary great of flamenco history had the kind of image that the younger generation could associate with, a young gypsy rebel who was the first flamenco of rock star status. Unfortunately his early death in 1992 robbed flamenco of a genius singer of great talent and created the first Elvis-status flamenco idol. De la Isla is the most worshipped and the most copied flamenco singer of modern times, but the lure of money and celebrity status tempted Camarón to sing more in the commercial style, mixing pure cante with all sorts of different music. Cameron’s voice was full of deep gypsy emotion, which has been copied by many singers. Only that original voice, however, remains at the forefront of today’s flamenco scene. José Monje Cruz, Camarón, was born in San Fernando, Cadiz, on the 5th of December 1950 and his family life was centered on the small home that he shared with his brothers and parents. It was on the patio of this house that he enjoyed many flamenco juergas, which the likes of Manolo Caracol, Cameron’s great uncle, would attend. Adjacent to the home is the blacksmith where his father earned a living to support his family and this can still be visited today. Cameron’s teenage years were spent in the company of many famous flamencos and bullfighters, and it was the corrida that was his first true vocation, although this was a career that was very short lived and his love of flamenco soon replaced his lust for the bullfight. Before his legendary partnership with Paco de Lucia, Camarón de la Isla started his career in Cádiz, playing at venues such as La Venta de Vargas, along with his life long friend Rancapino, another revered figure in the world of cante. Camerón’s first professional performance is reported to have been at the La Taverna Gitana, in Málaga with the flamenco troupe of Miguel de los Reyes. At the age of fourteen he appeared in the movie El Amor Brujo, alongside the dance legend, Antonio Gades, and at sixteen he won first prize during the 1V Festival de Cante Jondo in Mairena de Alcor, Seville. After his triumph in Mairena, Camarón was invited to perform at the Caracole festival in Lebrija, one of the most prestigious festivals in Andalucía, along with El Lebrijano, El Perrate de Utrera, and Turronero. He performed at numerous other festivals and peñas in lower Andalucía after this but he soon headed to Madrid, which was fast becoming the flamenco capital towards the end of the 1960’s. His first job in Madrid was as a palmero, keeping the rhythm in the flamenco quadro at Torres Bermejas, one of the top flamenco tablaos in Madrid. Another famous tablao of this time was Los Canasteros, a smart flamenco club owned by Manolo Caracol and this was the place where Camarón started to make people aware of his outstanding qualities as a flamenco singer, going on to make his first record in 1969 accompanied on guitar by Antonio Arenas. However, it was his introduction to the young guitar genius, Paco de Lucía, that would light the fuse of his career. Together the two embarked on a quest that was to turn the flamenco scene on its head. For a period of ten years this dynamic duo dominated the flamenco scene releasing a string of recordings, which reveal the strange musical chemistry that existed between the them. Together Camarón and Lucía changed and altered existing song styles also creating a style of fandango called Canasteros. In 1976 Camarón married Dolores Montoya, La Chispa, a woman who would be with him until his early death. Together they had four children, one of whom is the guitarist Luis Monje. It was around this time that Camarón met Tomatito, the guitarist who was to become his second accompanist after Paco de Lucia’s departure. Tomatito made his first appearance on record with Camarón when he accompanied him on the LP Rosamaria and by this time Camarón was in full charge of his career, touring many parts of Europe including France, where by now he had become a well established artiste. Cameron’s voice had everything that is gypsy and this is evident in his early work with Paco de Lucía where his voice is a shattering cry, a gypsy echo without limits and unreachable depth. After many years as artistic partners they decided to go their separate ways, ending the most famous flamenco partnership in history. There have been many versions of why Paco and Camarón parted company, but the reason could simply have had a lot to do with their own stature as artistes. Paco de Lucía was fast becoming one of the most gifted guitarists of the century and Camarón was receiving much the same attention as a singer of flamenco. Many have piled the blame on Camarón`s dependency on drugs and there is no doubt that he had become victim to an abuse that is only too common amongst musicians in every field. It’s not so important to remember why they went in different directions, but simply to remember how these two people revolutionized flamenco giving it a fresh new appeal to the younger generation. 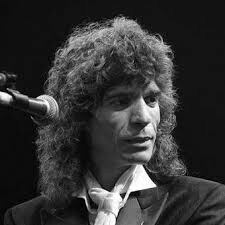 In 1979 he recorded Leyenda del Tiempo, his first recording without Paco de Lucía and the first of many flamenco fusion albums. During the 1980’s his musical direction would change. He had already proved his ability to sing the orthodox styles of flamenco, and was now turning his attention to different musical avenues. One of this legend’s Cds, Soy Gitano, with the Royal Philharmonic Orchestra, shows the amazing power and capabilities of this gypsy singer’s voice; a mixture of heart wrenching emotion and forceful, explosive expression. This greatest name in flamenco’s history also released a string of records throughout the 1980s including Calle Real and Rabo y potro miel, which was to be his last studio album, however like most music legends that die young, an array of compilation Cds are still being released as tributes to an artiste that has done so much for flamenco as we know it today. Camarón de la Isla died of lung cancer in Badalona, Barcelona, on the 5th July 1992, a very dark day for cante and a sad loss to the flamenco world. Camarón was awarded a posthumous 4th Llave de Oro del Cante nine years after his death, because his voice and contribution to flamenco is still very much alive today. There is no doubt that he was one of the greatest singers of his time and even today there are few singers who have equaled his achievements and even less that possess his voice capabilities; but there will always be plenty who have been influenced by him. In 2005 Spanish film director Jaime Chavarri made a film covering the life of Camaron de la Isla in which Oscar Jaenada played the lead role. This film is worth seeing if you want to know about this great flamenco legend. Other recommended viewing- Camarón-Paris 87/88. Live recording (Dvd) made in Paris, which includes Camarón performing with Tomatito as well as an in-depth interview about his thoughts on the art of flamenco. Recommended cds: Any of his work with Paco de Lucía, especially “Soy caminante”. It is interesting to note that Camaron and Paco de Lucía`s first few records were simply called “Camaron de la Isla con la colaboracíon de Paco de Lucía”. Any of these early recordings show Camarón at his artistic best.